In cinemas this week: 12 Years A Slave and Grudge Match. Grudge Match - Robert De Niro and Sylvester Stallone star as old boxing rivals who come out of retirement for one final match. On their first encounter in decades, their long-festering feud erupts into an unintentionally hilarious melee that instantly goes viral. The sudden social media frenzy transforms their local grudge match into a must-see HBO event. Now, if they can just survive the training, they may actually live to fight again. I had no interest in watching this anyway, but when I watched a TV spot last night and saw Stallone punching meat, any chance of me seeing it evaporated. Weekly Recommendation: 12 Years A Slave isn't close to my favourite of the nine Best Picture nominees, so I favour other films currently in cinemas, but it is a film that MUST be seen. In 2014 the Alliance Francaise French Film Festival turns 25, returning with an evocative program of over 40 keenly anticipated new features and documentaries set to screen at sixteen fabulous Palace Cinema locations. And to mark the anniversary the Alliance Francaise are delighted to announce that renowned French/Australian entertainer, Julia Zemiro will be the Festival’s 2014 Patron. Julia was born in Aix-en-Provence to a French father and an Australian mother and has an impressive slate of credits across theatre, film and television, including the SBS hit TV program, RockWiz. Proudly presented by the Alliance Française in association with the Embassy of France in Australia and the gracious support of Gold Sponsor Citroën, who have been at the forefront of Europe’s automobile industry for nearly a century, the Alliance Française French Festival has become acknowledged as one of the pre-eminent multicultural film events on Australia’s arts calendar. For its 2013 outing, the Festival incorporated over 1,400 sessions, which attracted in excess of 133,000 patrons, mostly beyond Australia’s French community. And for 2014 the event, which will run from 4 March until the end of April, Palace has expanded to incorporate Palace Byron Bay, taking the number of participating cities to seven and venues to seventeen. During these two months, a dazzling cornucopia of drama, romance, action and comedy awaits audiences with a splendid example being the Festival’s opening night film, The Finishers, which will screen courtesy of Madman Entertainment. An emotionally charged drama with the characters inspired by a true story, this superbly crafted story, directed by Nils Tavernier and starring Jacques Gamblin and Alexandra Lamy, follows the incredible journey of an embittered, former Ironman champion, and his disabled son who join forces to compete in a triathlon. And for closing night, the Festival will honour one of France’s most beloved directors, the comic genius Jacques Tati, by inviting audiences to select the Festival’s final film from six of his celebrated classics, including Playtime, Mon Oncle and Mr. Hulot’s Holiday. - Grand Central: Tells the story of Gary (Tahar Rahim, A Prophet), an aimless and unskilled worker who lands himself a job at a nuclear reactor. 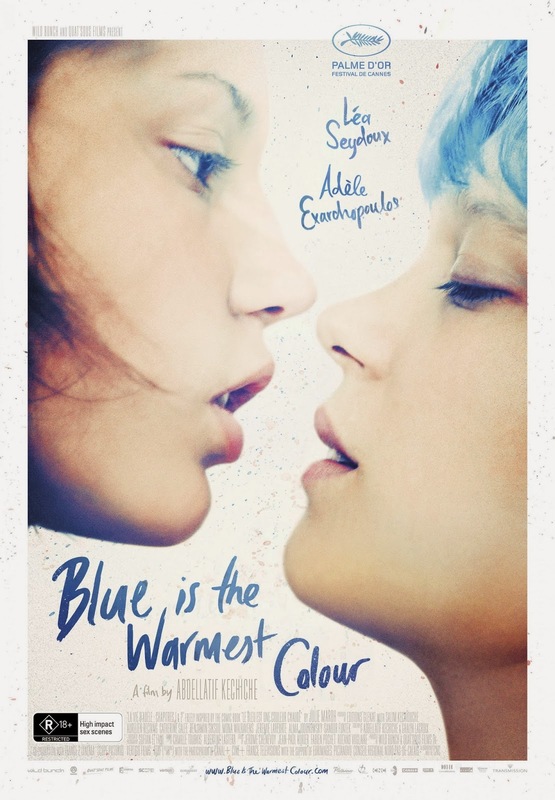 Almost immediately he finds himself ignoring the warning signs and venturing where he shouldn't: into the arms of a co-worker's fiance (Lea Seydoux, Blue is the Warmest Color). - Just a Sigh: The always brilliant Emmanuelle Devos stars as Alix, a forty three year old actress en route to Paris for an audition. With a broken mobile phone and a maxed out credit card, Alix is momentarily loosed from the moorings that anchor her to modern life and to her boyfriend Antoine (Denis Menochet). A brief train conversation with an enigmatic stranger, Douglas (Gabriel Byrne), sets her on a path of spontaneous decisions with both the promise and the risk of new beginnings. - Suzanne: Widely considered one of France's most exciting young directors, Katell Quillevere confirms the promise of her debut 'Love Like Poison' with Suzanne, a powerful and emotionally-charged drama that explores the impact of one woman's unquenchable thirst for life on those around her. - Camille Claudel 1915: Troubled sculptress Claudel (Juliette Binoche) has been confined to an asylum for two years following the collapse of her affair with fellow artist, Auguste Rodin. Isolated from the outside world, she pleads the case for her sanity with doctors. A visit from her pious brother Paul (Jean-Luc Vincent) seems to hod the hope for her release, but first he must be persuaded that she isn't possessed by the devil. - Michael Kohlhaas: Danish star and Cannes winner Mads Mikkelsen appears in the title role of this bloody epic set in feudal France. 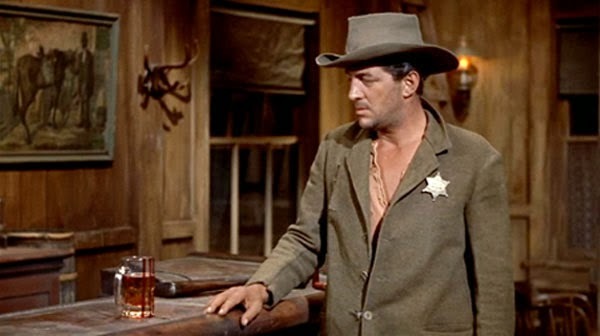 After repeatedly being cheated, horse trader Kohlhaas dares to confront local baron (Swann Arlaud) but is frustrated at every step by the equally corrupt courts. His campaign for his rights is met by escalating violence and cruelty, until a truly heinous crime sends Michael on a mission for vengeance. - Belle and Sebastian: The 1960's TV series beloved around the world has been remade for a new generation as a heartwarming family film. Set high in the snowy Alps during the Second World War the resourceful Sebastian (Felix Bossuet) is a lonely boy who tames and befriends a giant, wild mountain dog, Belle - even though the villagers believe her to be 'the beast' that has been killing their sheep. Through danger and adventure Belle and Sebastian forge an indestructible friendship. - Mobius: Monaco provides the glamorous setting for an undercover sting set up by Gregory Lioubov (Jean Dujardin) to entrap corrupt tycoon, Ivan Rostrovski (Tim Roth). Brilliant and beautiful financial trader Alice (Cecile De France) is enlisted to get close to Ivan, but first must get closer to Gregory. Their torrid affair soon becomes a threat to the smooth unfolding of the operation as secrets and suspicions accumulate and no one is exactly who they seem. - Our Heroes Died Tonight: Set in the criminal milieu surrounding professional wrestling in the 1960's, the story follows Victor (Denis Menochet), a gentle giant who turns to wrestling as a career after returning from a stint with the Foreign Legion in Algeria. Victor's friend Simon (Jean-Pierre Martins), already established as "The Spectre" in the wrestling world, helps him to create an alter-ego, "The Butcher", and together they form a lucrative rivalry. A decision to switch masks, however, leads to dire consequences as the pair runs afoul of match riggers and hit men in a spiral of mortal danger. - Quai D'Orsay: A new film by master director Bertrand Tavernier is always a major event, and this scorching political satire is no exception. This hilarious adaptation of Abel Lanzac's comic moves is a madcap take on the French political scene in the vein of Armando Iannucci's In the Loop. - Attila Marcel: Until now, Paul's existence has been sheltered and strange. The thirty-something man has lived all his life in a drab Paris apartment with two aunts and a daily routine of constant piano practice. When Paul meets an eccentric neighbour and tries her herbal brew, he uncovers deeply buried childhood memories - and a key to unlocking the great mystery of his life. Attila Marcel is the first live action feature film by writer-director Sylvain Chomet, the celebrated creator of animated hits The Triplets of Belleville and The Illusionist. 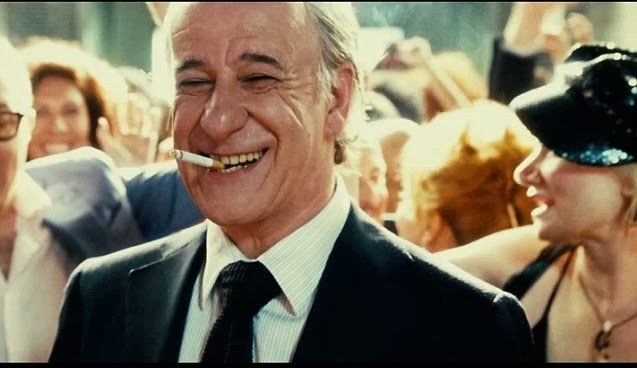 After premiering at the 2013 Cannes Film Festival, and competing for the Palme d’Or, Paolo Sorrentino’s (Il Divo, This Must Be The Place) The Great Beauty is now representing Italy at the Academy Awards as one of the five nominees for Best Foreign Language Film. It is a dazzling celebration of the films of Federico Fellini (8 ½, La Dolce Vita), an often-baffling exploration of Rome, of the social elite residing within and one man in particular who has become distracted from his art and lost the ability to recognize and passionately invest himself in the beauty of his surroundings. Immediately striking in this film, like in the delightfully odd yet undervalued This Must Be The Place, is the relationship between unconventional camera activity, and unique auditory accompaniments. Sorrentino wants his style to be on show in every scene. The opening sequence is incredible. With a backing gospel-chorus DP Luca Bigazzi’s camera floats across fountains as if it is dancing on the water’s surface and over the spires of churches and iconic monuments. No cut is where we expect. We witness an incident involving one of a busload of tourists before we are taken to a pumping rooftop party and introduced to Jep Gambardella (Toni Servillo, Il Divo), a charming and distinguished elitist and socialite who has been living comfortably on the wealth and glory of his legendary first novel from decades earlier. 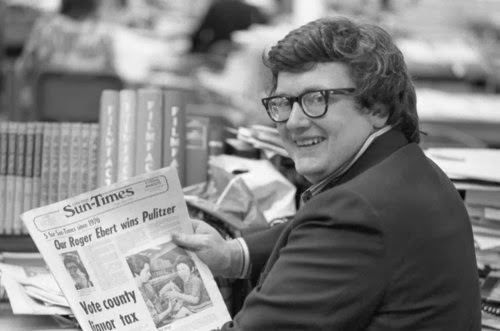 Now a social commentator and critic, Jep intermittently writes cultural columns, hosts lavish parties at his apartment (which overlooks the Coliseum) and is firmly embedded in the city’s elite literary circles. He knows everyone and everyone knows him. He is acutely observant, and in intelligence, appearance and poise he is intimidating and demands attention. After celebrating his 65th birthday, he learns some news about his first (and only?) love, which prompts him to reminisce on his life, and reconsider his hedonistic, decadent lifestyle in search of richer fulfillment in the absurd and the exquisite of the everyday. He comes to realize why he has never been able to write another novel, as he laments on just how empty his existence really is. He has put stock in his evaluation and appreciation of art; pieces constructed by his contemporaries, and the rich history of the city, but does that come close to filling the voids – squandered potential, no family or legacy – that he is has begun to mourn? Paranormal Activity: The Marked Ones - A young California Latino named Jesse (Andrew Jacobs) is designated for possession by the same malevolent demon who previously claimed Kristi and Katie. Christopher Landon writes and directs this spin-off/sequel produced by Oren Peli and Jason Blum (Paranormal Activity). Convict - The story of an Australian war veteran with moral beliefs who, through a reactionary moment is sent to prison and gets caught up in an immoral world. Ray (George Basha - The Combination, Black Rock) who has been on duty in the Middle East believes in his country and he has great pride in his life as a soldier. In prison he comes face to face with the realities of a world he has sought to avoid. He sees himself not as an Arabic man, but a man whose life and decisions are driven by his moral code. He befriends David, an Aboriginal man (Richard Green - Snowtown, Boxing Day, Redfern Now) and finds in him a true friendship. On the other side of this dangerous world he encounters an Arabic drug lord who insists that he should join his 'brothers' as an obligation. Surrounding this struggle he is also being brutalized by the prison warden (David Field - Chopper, Two Hands)and guards on behalf of the father of the young lad he has accidentally killed outside prison. A hard-hitting prison drama from the makers of The Combination. 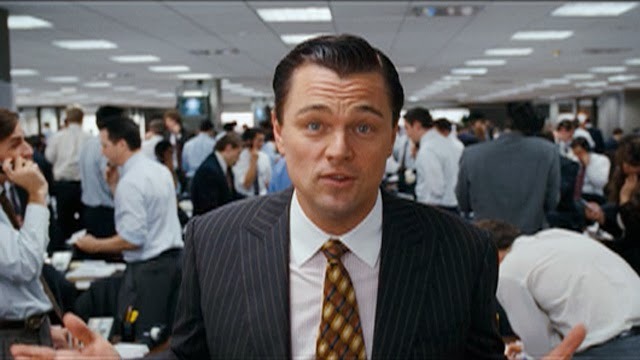 Weekly Recommendation: The Wolf of Wall Street, but be aware of it's R18+ rating. If you're game, the The Great Beauty could provide a profound experience too. Her (January 16) - The new film by Spike Jonze (Adaptation, Being John Malkovich) tells the story of the sad, lonely and silently hurting Theodor Twombly (played brilliantly by Joaquin Phoenix, a stellar follow-up to The Master) who falls in love with his new highly intelligent Operating System (voiced perfectly by Scarlett Johansson). Jonze has created an uncomfortably realistic depiction of a not-too-distant future, providing insightful commentary on social isolation and urban bewilderment, modern relationships, feigned connections, and the impact that technology has on how we express ourselves and suppress our emotions. 12 Years A Slave (January 30) - 12 Years a Slave is powerful, harrowing and vital cinema. 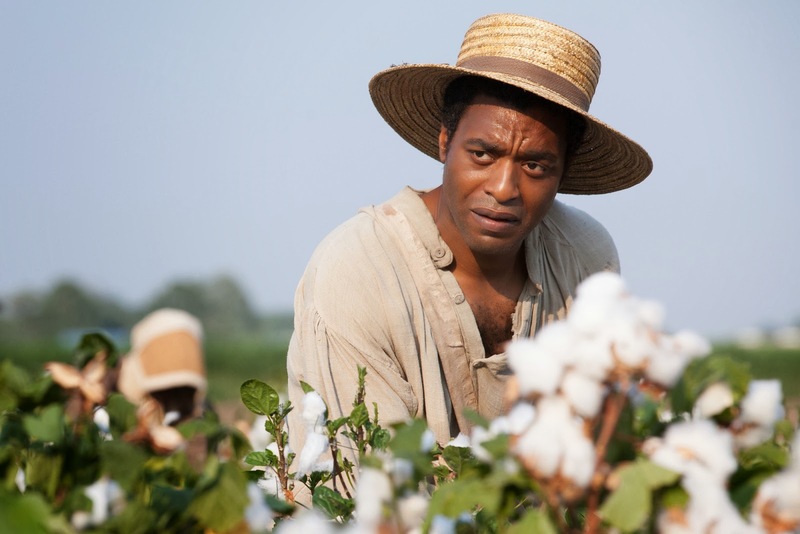 An unflinchingly unpleasant endurance test, made up of clinically directed episodes of Solomon Northup's (Chiwetel Ejiofor) extraordinary true story of hardship and survival. Extraordinary for all the very worst reasons. This is a devastating and emotionally draining portrayal of how a free man - kidnapped, imprisoned and then subjected to (and forced to participate in) the worst atrocities of slavery, then a mechanized and deeply ingrained part of the culture of the South - maintained a glimmer of hope and transformed himself (having had his identity stripped) into whoever he needed to be to survive. Director Steve McQueen (Shame, Hunger) has created a study of pure evil that never ignores the compassionate tightrope walked by Northup, as he dared to reach out, to help others, and seek a savior. There are many elements to admire about McQueen's grandest and most-conventional film to date. Every frame of the film is stunning in a visual sense, courtesy of another great collaboration with DP Sean Bobbitt, while Hans Zimmer's score is one of his most restrained. The performances are outstanding - Ejiofor, Michael Fassbender and Lupita Nyong'o were deservedly nominated for Academy Awards, but Benedict Cumberbatch, Sarah Paulson, Brad Pitt and Garrett Dillahunt all have memorable sequences. McQueen's efforts to align a viewer with Northup's agonizing struggles results in some incredible unbroken takes. 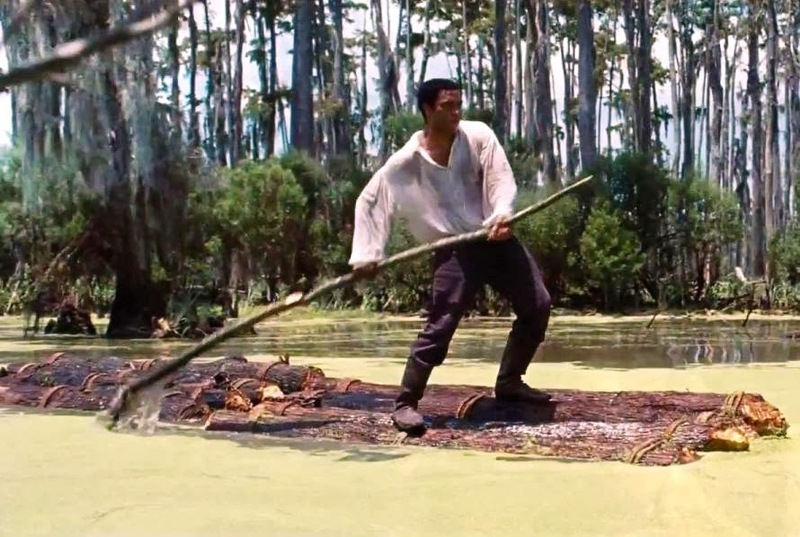 A handful of scenes leave a deep impression - Fassbender confronting Ejiofor at knife and lantern point when he fears he is trying to communicate outside the plantation was the most affecting scene in a film that involves a near hanging and a horrifically violent whipping - while Northup's final climb to freedom was undeniably powerful. Perhaps it was the film's episodic structure and the unclear passing of time that made it a difficult film to fully immerse in. I did not leave the cinema as emotionally crippled as I expected. Nebraska (Febuary 20) - The latest from Alexander Payne (Sideways, The Descendants) is a stunning and sincere little black and white film about one of the oddest family road trips you will ever see. 70-something Woody Grant (Cannes Best Actor winner Bruce Dern) is adamant that he has won a million dollars. 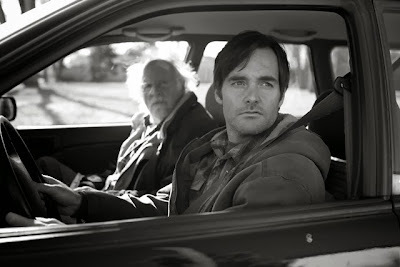 Whether he believes he has actually won, or just wants to give his life a sense of purpose in his twilight years, we aren't ever sure, but he manages to coerce his estranged son (Will Forte, perfect) to drive him to Nebraska to claim the fortune. 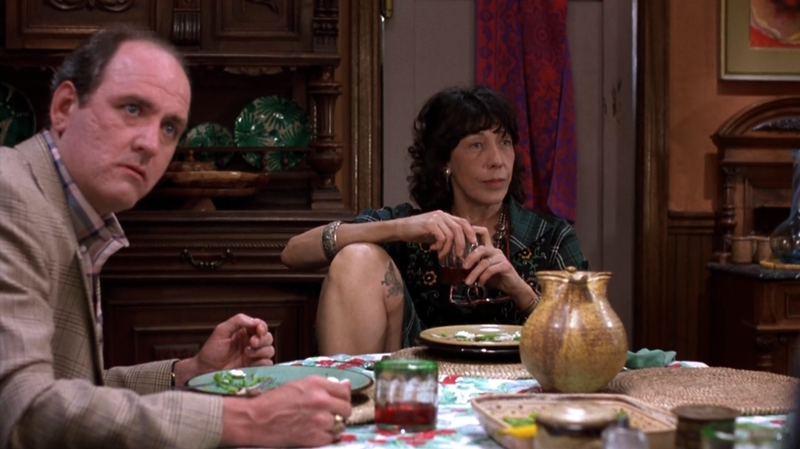 The journey there is both incredibly funny and touching in the most surprising of ways. 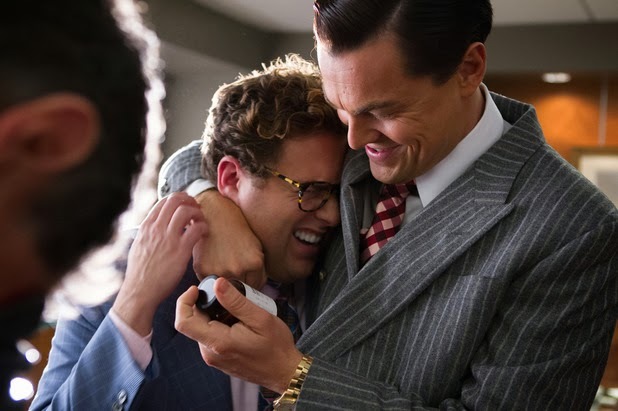 The characters that populate this simple but subtly layered story, are the real deal. 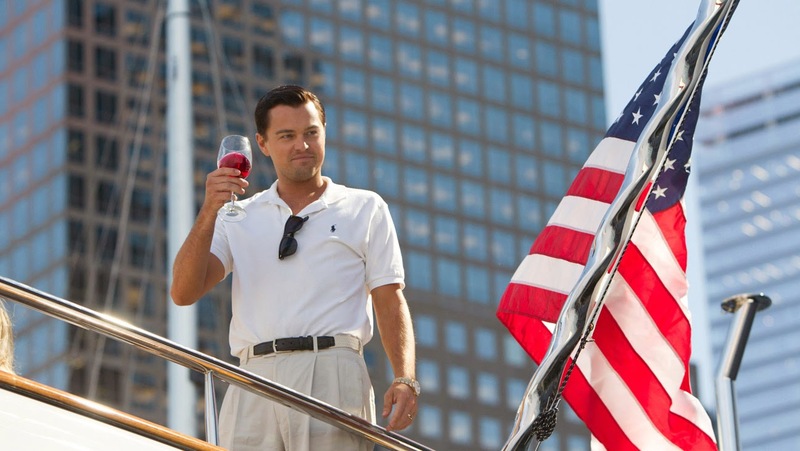 They are everyday Midwesterners who each want a share of Woody's new-found wealth. These are family who have disowned him and friends who ridicule him. He finds an unlikely ally in his son, dragged along begrudgingly but whose own life is in disarray. The Rules: ANY Film released in an Australian cinema in 2013/early 2014 + any films I have seen at a festival or via screener that have not had a general release. This is a HUGE list of films to select from, but doesn't include some 2013 U.S releases (Dallas Buyers Club and All is Lost are two examples) that have not yet been screened in Australian cinemas. As a result of the large volume of films, there will be up to ten slots (and as few as four) for each category and the winner marked in BOLD. 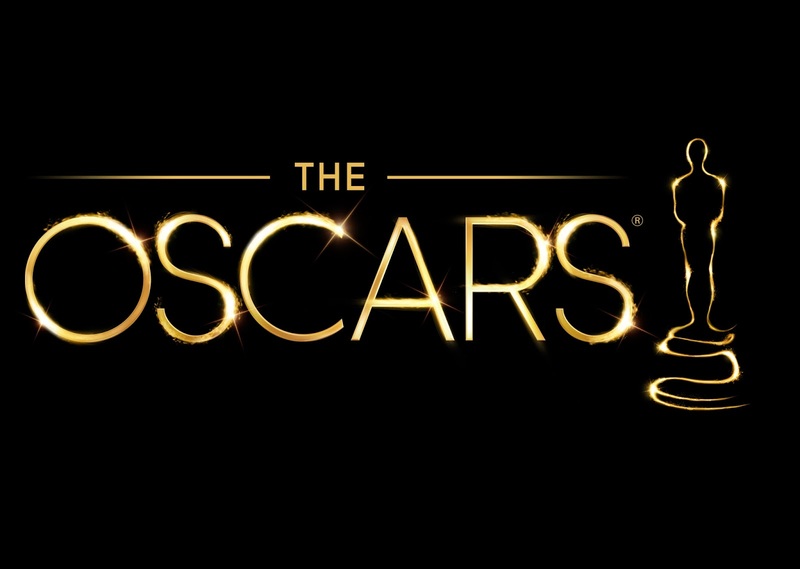 Now, it is very likely I have forgotten to include some worthy nominees, but when reflecting on an entire year of film it is hard just narrowing down the categories. Thoughts? In cinemas this week: Her, Inside Llewyn Davis, Jack Ryan: Shadow Recruit and 47 Ronin. Jack Ryan: Shadow Recruit - Based on the character created by bestselling author Tom Clancy, "Jack Ryan" is a global action thriller set in the present day. This original story follow a young Jack (Chris Pine) as he uncovers a financial terrorist plot. The story follows him from 9/11, through his tour of duty in Afghanistan, which scarred him forever, and into his early days in the Financial Intelligence Unit of the modern CIA where he becomes an analyst, under the guardianship of his handler, Harper (Kevin Costner). When Ryan believes he's uncovered a Russian plot to collapse the United States economy, he goes from being an analyst to becoming a spy and must fight to save his own life and those of countless others, while also trying to protect the thing that's more important to him than anything, his relationship with his fiancée Cathy (Keira Knightley). I have seen just two of the the Jack Ryan films - The Hunt for Red October and The Sum of All Fears). I'm not interested. 47 Ronin - From ancient Japan's most enduring tale, the epic 3D fantasy-adventure 47 Ronin is born. Keanu Reeves leads the cast as Kai, an outcast who joins Oishi (Hiroyuki Sanada), the leader of 47 outcast samurai. Together they seek vengeance upon the treacherous overlord who killed their master and banished their kind. To restore honor to their homeland, the warriors embark upon a quest that challenges them with a series of trials that would destroy ordinary warriors. Why does this exist? Weekly Recommendation: Her and Inside Llewyn Davis are films that are not easily forgotten. Her is one of the most interesting and original films I have seen in the last twelve months. 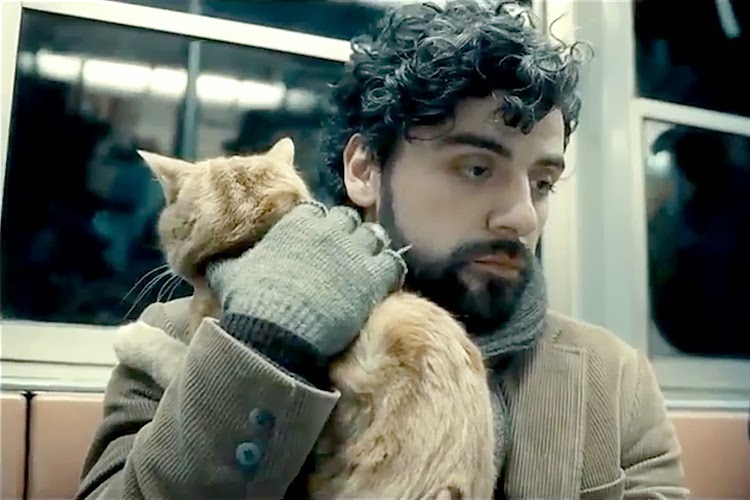 I'm still figuring out how I feel about Inside Llewyn Davis but it is undeniably worth seeing. 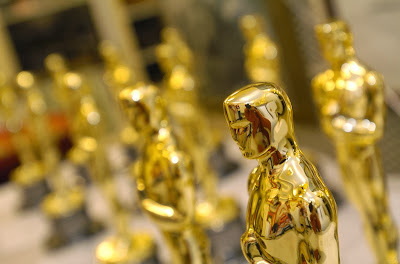 At Graffiti With Punctuation I have put together my predictions for the Academy Award nominees, announced January 16. 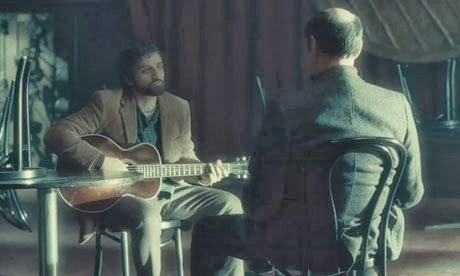 The Guilds (the PGA and WGA were announced this week) have shaken things up a little bit - notably exclusions for Inside Llewyn Davis - but I feel like these selections will be pretty on the money. Saving Mr Banks, the latest from director John Lee Hancock (The Blind Side), reveals the trials and tribulations of adapting P.L Travers’ popular series of children novels into Mary Poppins, one of the greatest and most beloved screen musicals ever made. 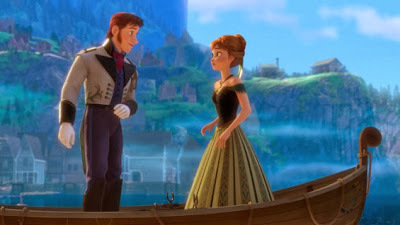 The story shifts between Travers childhood in Queensland, Australia in 1906 and her 1961 negotiations with Walt Disney (Tom Hanks) as he attempts to obtain the screen rights to her novels. 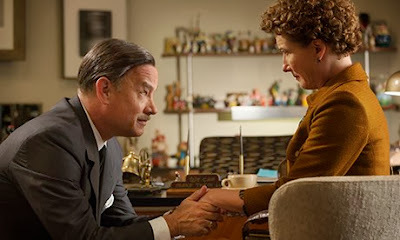 Invited to California for a fortnight briefing during the pre-production stage, Travers (Emma Thompson) reflects on her childhood – and especially her father, the inspiration for the story’s patriarch Mr Banks – and is stubbornly adamant that Disney and the film’s screenwriters and composers take no liberties with her personal vision. This film works doubly as a portrait of a writer, and how she utilised the traumas of her childhood to create something unique and imaginative, and how these beloved tales made the transition from the page to the screen, nursed by Disney studios and personally supervised by Walt Disney himself. It is quite a story. One’s understanding of Mary Poppins – to at least seen it once – is useful to appreciating this film. But certainly not imperative. It is relaxing, technically pleasing, feel-good charmer that benefits from the fine performances. Many viewers will recognize the songs written by the Sherman Brothers (portrayed by Jason Schwarzman and B.J Novak in Saving Mr Banks) and it is entertaining throughout to hear their personal renditions of the eventual songs as an unpolished pitch. The same goes for Bradley Whitford’s work as co-screenwriter Don DaGradi, whose ideas for the characters eventually mold into the ones we know and love. In December I watched 30 films to end the year with 413. 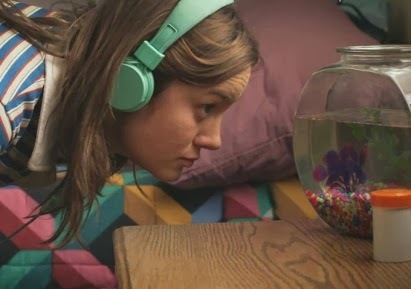 Short Term 12 made my Top 10 of 2013, which goes to show how much I loved Nebraska and Her, were they eligible. My first film of the year was Certified Copy and my last was Tropic Thunder. If I had to guess who my most-watched actor was this year I would say James Franco. The guy has been everywhere. As for actress, Mia Farrow, in the many Woody Allen films I consumed. As for director, it can only be Woody. Check out my previous posts for EOY coverage including my 22 Best 'New-To-Me' Films in 2013, 50 Best Films of 2013 (By Australian Release Date), 15 Best Male/Female Performances, and 15 Best Albums. 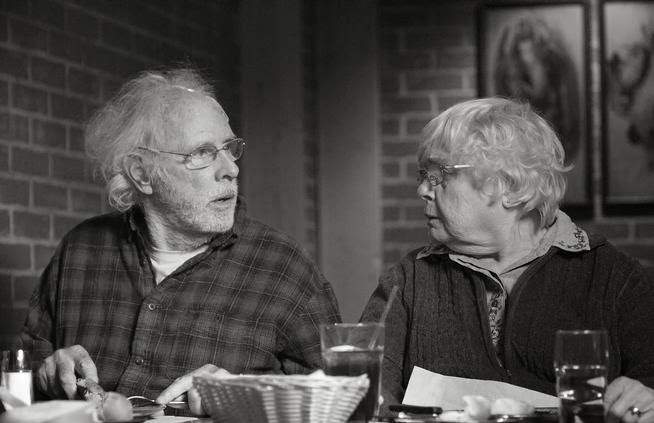 Nebraska (Alexander Payne, 2013) - Subtle and different. Unforgettable. Oddest road trip ever turns into beautiful, hilarious and moving story of family and fortune. Bruce Dern is brilliant. Her (Spike Jonze, 2013) - Stuns with how present and relevant it is. As achingly sad as it is funny, but altogether something remarkable and different. Phoenix is the man. Jonze a genius.